Technology news blog covering Apple, Google, Microsoft, Social Media and the Web! The wait is almost over. 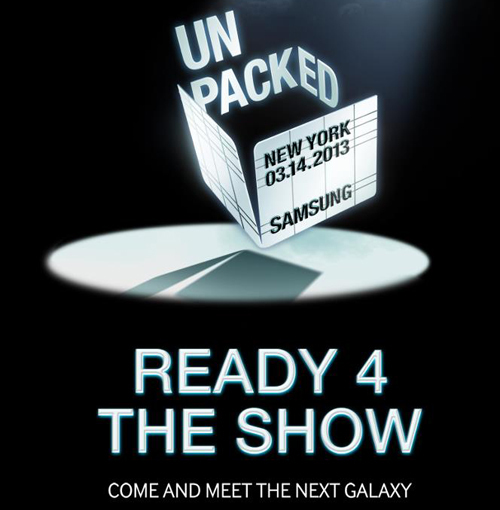 Samsung is set to finally unveil its next generation Samsung Galaxy S IV smarphone series on Thursday evening. If you want to watch the live stream of this heavily leaked phone event, bookmark this page. If all of the leaks are to be trusted, you would expect a device with 5-inch HD display, an eight-core processor (or a quad-core chipset in the U.S.), a 13-megapixel camera, up to 64GB of storage plus microSDXC support, 2GB of RAM and Android 4.2 Jelly Bean.